John Deere Senior Economist Kanlaya Barr analyzes industry forecasts to help the company optimize its operations. Using her analytical skills and expertise, Kanlaya Barr helps the company understand the market fundamentals around the ag machinery industry and the ways it can better plan and adapt. Kanlaya Barr is a typical Midwestern girl — except that she isn’t at all. Sure, she went to college in Iowa. Sure, she met her future husband in a class while there. Sure, she started a family and went to work for John Deere. But Kanlaya’s story is anything but typically Midwestern. And that story begins with her first name, which is pronounced GUH-lee-uh. Galia? Barr is a senior economist for Deere & Company, which represents a long journey, not just in miles, but also in culture. Though she grew up in Thailand, her heritage is Chinese. 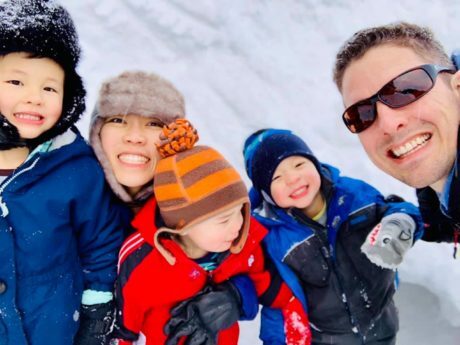 Kanlaya Barr and her husband, Barrett Barr, enjoy travelling with their three children. Barr’s grandparents fled widespread starvation in China, caused by the Chinese Civil War and the Second Sino-Japanese War. The Chinese diaspora, which sent immigrants throughout southeast Asia, created a significant minority among Thailand’s population of 70 million. Her first move away from those paddies was to another small town, but this one was not far from Branson. Branson, Missouri. About 9,000 miles from her home in Thailand. Iowa State University graduation ceremony where Barr received her her Ph.D. in economics. 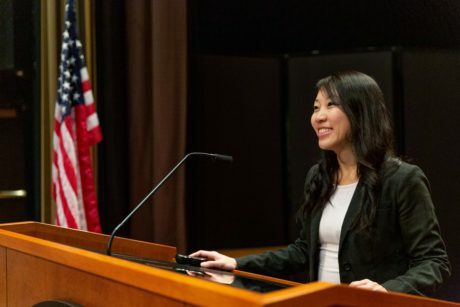 During her stay at the university from 2002–2009, she collected three advanced degrees — a masters in accounting, a masters in economics, and a doctorate in economics. For college — she was the first in her immediate family to attend college — Barr left Ubon, a town with approximately 100,000 residents, to move to Bangkok, a sprawling city with more than 8 million inhabitants. Bangkok touches the Gulf of Thailand and sits about midway between the country’s borders with Myanmar and Cambodia. To save money, Barr moved into her grandparents’ house on the outskirts of Bangkok. Closer, but not exactly close. The commute didn’t deter her, and she graduated from Thammasat University with a degree in economics. Which was a bit of a shock. Not only did the people talk faster than she was used to, but the farming was different from anything she’d seen growing up in Thailand. And, of course, there was the weather. The average monthly temperatures in Bangkok range from a low of 71 degrees Fahrenheit in December to a high of 96 in April. In Iowa, average monthly temperatures range from a low of 12 degrees in January to a high of 85 in July. She adapted, though. “We had a very good support system,” Barr said. “We had a Thai Student Association that really was helpful, teaching us how to shop for groceries, how to drive, how to find an apartment, how to find roommates, and things like that. “In Thailand, the funny thing is we don’t cook,” Barr said. “Eating street food is so cheap that I didn’t learn how to cook. I never made any food myself because it was so much more expensive. So my roommate helped me figure out how to use a rice cooker.” She laughed at the irony of being a life-long rice-eater and not knowing how to use a rice-cooker. During her stay at the university from 2002–2009, she collected three advanced degrees — a masters in accounting, a masters in economics, and a doctorate in economics. After graduate school, she took a job as a derivatives analyst for Aviva Investors in Des Moines, Iowa, before joining Barrett in Kansas City and then joining Deere in 2011. After that, she transferred to the enterprise market research team as an economist for Region 3, which includes Central and South America. In 2017, she joined the Office of the Chief Economist as a senior economist. In Barr’s case, it sometimes means being the voice of reason. Finding the key pieces of information can require a bit of detective work. 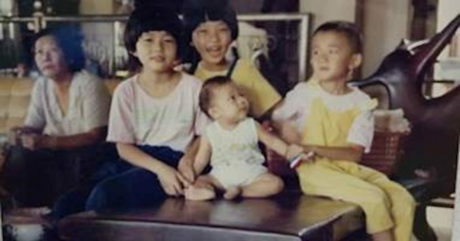 As a small child (above center), Barr grew up amidst the rice paddies of rural Thailand. 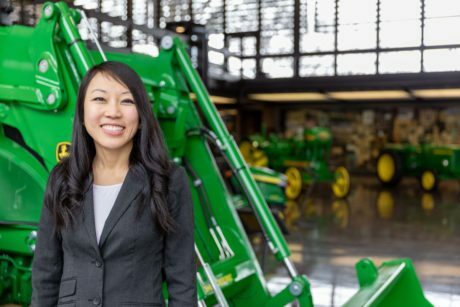 As a senior economist, Barr anticipates and analyzes events and conditions that may affect Deere in the short and long term, which allows Deere to optimize its operations. In particular, Barr provides industry forecasts and economic outlooks that are used for production and strategic planning. She has to cut through the noise and determine how the ag machinery industry will be impacted by countless variables. When she completes her analysis, Barr reviews it with Chandler, and eventually the analysis will make its way to the board of directors and senior leaders — whoever can use the analysis to make better decisions for Deere. 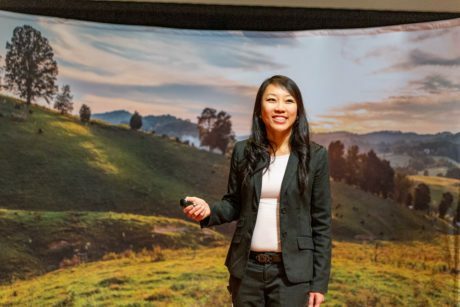 How difficult is it to go from being a child in a small village in Thailand to being a senior economist for a company with operations on six continents? Though she’s had many great experiences, one stands out among all the others. Learn more about the exciting and varied employment opportunities at John Deere.